Many tourists start Vietnam holidays from Hanoi to the South. 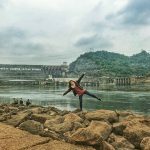 Here is Vietnam itinerary 10 days from Hanoi to Hoi An that is suggested with our long experience in tourism. From Hanoi to Hoi An is around 800km long. There are many interesting tourist sites for tourists to stop exploring between Hanoi and Hoi An Ancient City. Ninh Binh has famous many famous tourist sites, especially Tam Coc. Tam Coc in Ninh Binh is considered as the “Ha Long Bay on the Land” with beautiful landscape. 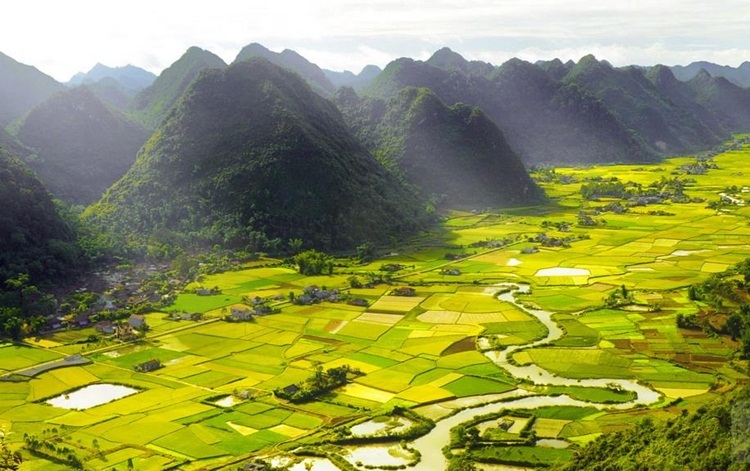 When visiting Tam Coc, you can immerse yourself in the golden paddy fields stretching out of sight, surrounded by water and mountain, creating a nice picture of nature. Vinh city belongs to Nghe An province, where Ho Chi Minh was born. Coming to Vinh City, strolling along streets or at windy Ho Chi Minh square, you will get the chance to discover the life of the people of the North Central of Vietnam. Phong Nha – Ke Bang National Park in Quang Binh Province has amazing caves and nature. Paradise Cave in Quang Binh has great stalactites and stalagmites to explore. Son Doong Cave is one of the largest caves in the world. It takes few days to visit with trekking. At the moment, Son Doong Cave limits tourists visit with the high price for this trekking tour. Vinh Moc Tunnels in Quang Tri Province has special history during the war in Vietnam. The tunnels were the home of hundreds of local villagers to avoid bombs. These unique war relics give us a lot of lessons to live better in the modern life. 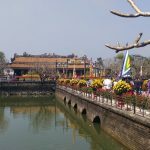 Hue is the old capital of Vietnam during the Nguyen dynasty from 1802 to 1945. Many royal relics left in Hue city with rich history and beautiful architecture. Danang is a modern city in Vietnam, between Hue and Hoi An. Danang has the nice beach and some famous tourist places Linh Ung Pagoda with very tall lady Buddha statue and the Marble Mountains. Day 2 We will visit Hanoi city with main tourist attractions. The guests can have options to extend longer time to visit Ha Long or other places in the north of Vietnam. Day 10 we will transfer from Hoi An to Danang airport for your flight departure. To find more advice, please contact Vietnam Drive! Our team is here to support you to get wonderful time from Hanoi to Hoi An.